Ready to serve your graphic & media design needs Screen Porch Studio looks forward to a productive future working with our existing clients and developing new relationships. Now with our very own home on the web you can catch up with us whenever you want. 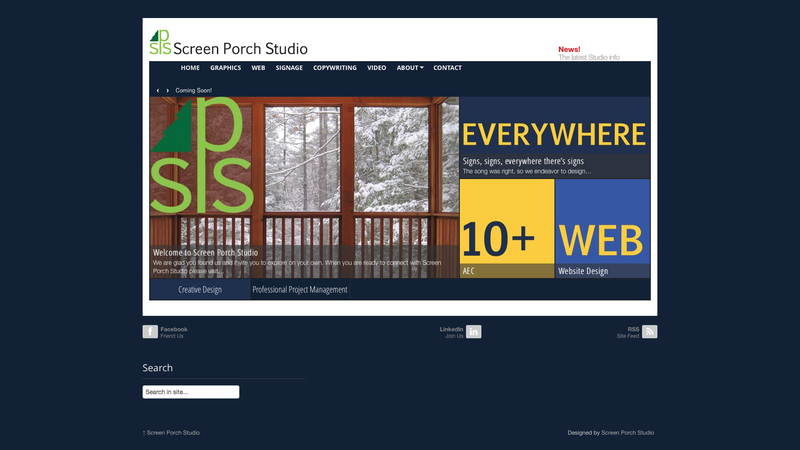 next post: Screen Porch Studio is now on Facebook and LinkedIn!